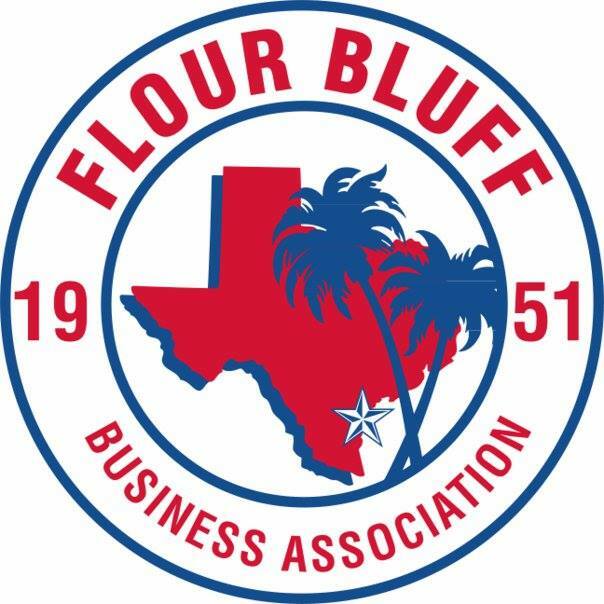 State Representative Todd Hunter addressed the Flour Bluff Business Association members at the regular monthly meeting on June 8, 2016, at Funtrackers in Flour Bluff. Representative Hunter is serving his sixth term in the Texas House of Representatives. Hunter recognized candidates for local office and elected officials who were in attendance and thanked them for their willingness to serve the area. Education: Funding of public schools has been determined legal. Independent school districts have autonomy to function as they see fit within the confines of State law. Making sure that schools offer recess daily, a topic brought up by an audience member, is in the hands of the districts. Hunter said, “If you have trouble with TEA, then contact me, and I’ll help you as I can.” He went on to say that Flour Bluff ISD in partnership with Del Mar offers job training for the cruise ship industry. Later in the Q&A session, Hunter spoke strongly against standardized tests and the expense related to it. Desalination: Hunter recently toured the desalination plant in El Paso, Texas, to see what they are doing. Their problem is getting water to run through the plant, which is not the issue for Corpus Christi. In the fall, he will begin pushing ocean/sea water desalination for our area. He encouraged those who want to get involved to contact his office. Transportation: Hunter discussed autonomous cars now in the Austin area, a test city for Google and these kinds of vehicles. It is predicted that in three years these cars will be everywhere. As a result, state legislators and transportation departments are scurrying to create laws to catch up with this kind of technology. “How do you do school zones? How do you handle accidents?” asked Hunter. Space travel: In Brownsville, Waco, and West Texas, three different billionaires are buying land and doing space travel tourism. They are already doing rocket launches, which affects private property rights. Drones: Texas A&M Corpus Christi is a drone-testing site. Hunter said, “John Sharp, Chancellor of Texas A & M, said that in three to five years, technology will exist to send drones over ranch and agricultural land.” He explained that these drones would actually be able to do soil tests and even test for diseases by entering the hides of the ranch animals. That creates a whole new area for laws to regulate such activities. “Science and computers will have an overall impact on the laws,” he said. Budget Forecast: In December, the legislators will receive the certified budget, which is based on the last two years. It will be down because gas, oil, and energy is down. Because the budget must be balanced, legislators can only budget and allocate what they have. “Overall, you’re going to do well. Things are good in Texas,” Hunter added. Panama Canal and Cuba: “One of the reasons I’m pushing these cruise ships is because Panama Canal and Cuba are opening up, and we are closer to those locations than a lot of areas in the state.” He hopes this will improve the transportation industry in the state. “I’m honored to be your representative, and I’m always going to fight for the Coastal Bend. I don’t think we get a fair shake, and I think sometimes they run us over,” said Hunter. He also explained that he is not thin because he is sick or afflicted by cancer; he just lost weight. 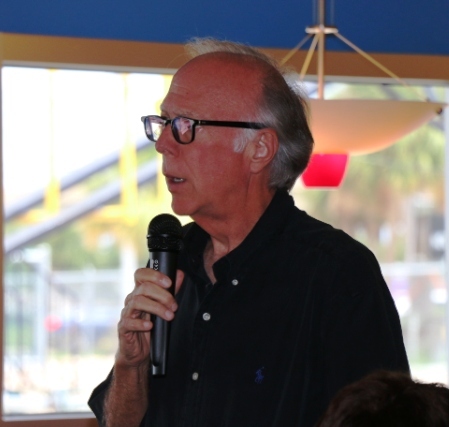 He closed by encouraging everyone to contact his office and get involved in the discussions surrounding the issues that affect the Flour Bluff area. FBBA President Melanie Hambrick thanked Rep. Hunter and awarded him an FBBA certificate of appreciation.